Música compuesta por James Newton Howard. Orquestaciones de Pete Anthony, Jeff Atmajian, Peter Bateman, Jane Antonia Cornish, Jon Kull, John Ashton Thomas y Marcus Trumpp. Dirigida por Pete Anthony. Orquesta contratada por Isobel Griffiths. Grabada y mezclada por Shawn Murphy. 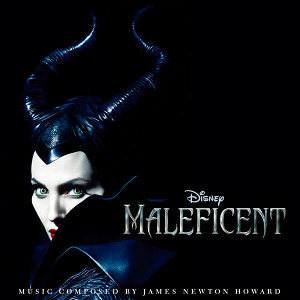 Álbum producido por James Newton Howard. Película dirigida por Robert Stromberg. Interpretada por Angelina Jolie, Elle Fanning, Sharlto Copley, Lesley Manville, Imelda Staunton, Juno Temple, Sam Riley, Brenton Thwaites, Kenneth Cranham, etc.